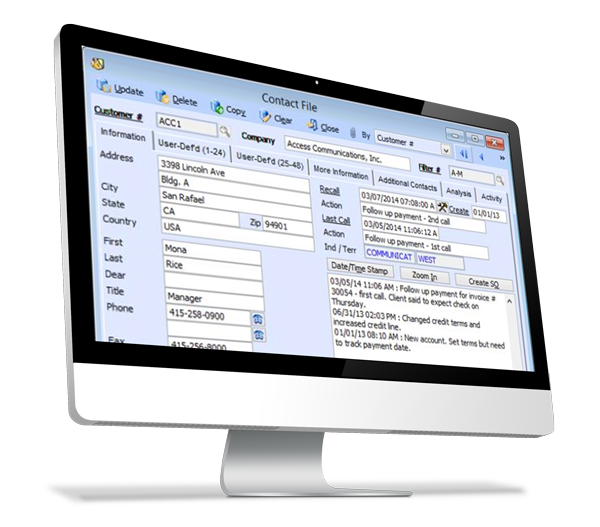 AccountMate’s Contact Manager module is a full-featured contact management system that helps you manage interactions with your customers more effectively and efficiently. It works with the latest Microsoft Office products to provide a complete, automated system that offers an all-in-one solution for managing multiple customer contacts. It is fully integrated with the accounting modules to avoid duplicate data entry and provide data consistency throughout the system.